When you love something it becomes part of your life. It’s something you need to do all the time. A bit like breathing. You can’t just spend the whole week in an office and type away at a computer knowing it will be days until you feel alive again. This is the way people feel about golf. Once you begin to love the game, that’s it. You can’t just play every Saturday. It needs to be every day. Luckily you now can. With the invention of apps you now have a way to play golf while you are sitting in boring meetings. You have to keep it quiet otherwise people will get mad, but still, if you want to have a little game you can. Although not as good as the real thing and unlikely to keep you fit, it’s still much better than having nothing. If you love golf you will love golf apps, so let’s take a look and find out what ones you should use. If you are over the age of 30 I’m sure you were one of the first people to experience Worms when it first burst onto the computer scene. It was probably one of the most memorable early PC games. What do you think you’d get if you combined Worms with golf? That would be Worms Crazy Golf. It’s a great little game that takes the best parts of Worms and combines it with golf. It’s going to take you forever to get bored of all the courses because there is 3 different ones, each with 18-holes. You have a mixture of some crazy action and chin-stroking puzzling moments. You can either play it on your own, or if you have 3 friends that want to play with you from the opposite office they can. Just don’t let the boss hear those exploding sheep. How great would it be if you could find a golf app that could improve your game without the need for thousands of dollars worth of video equipment? Well, with the Golf Swing Plane App that time could possibly have come. It’s pretty simple: you take a swing and the in-built video player will capture a video of the way you swing the club. Are you with me so far? Now you can watch the video in real time and find out exactly what you are doing wrong. Why you spend most of your time in the rough, rather than the green. You can even watch it in slow motion if you really want to see how bad you are. Then when you are bored with that you can watch pre-installed videos and learn how the professionals hit the ball. This little app is for when you don’t want to spend thousands on a golf instructor and would instead like one that can be tucked away in your pocket. It’s definitely going to be a winner because it was designed by PGA Tour pros. 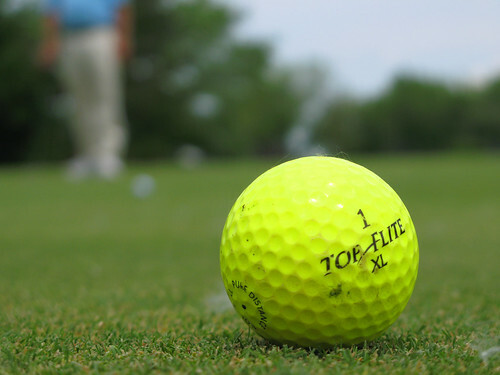 You can choose what parts of your game you’d like to work on and set up a specific practice session. It’s going to give you great solutions to the most common problems you’re getting wrong and it won’t stop until you have corrected them. You just have to listen to it and realize it knows best. You can then take to the course at the weekend and see how much you have improved. But be warned: you could get in trouble at work as it’s hard to put down. You can also get this for the Blackberry if you don’t have the iPhone. 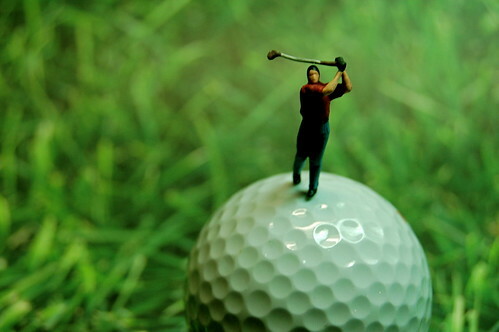 Steve Jhonson, a renowned blogger, is famous for providing interesting tips on golfing. Find out more fascinating facts about golfing by clicking on the specified link Titleist golf clubs. Wow this is great. My dad would love to have this app in his iPhone.